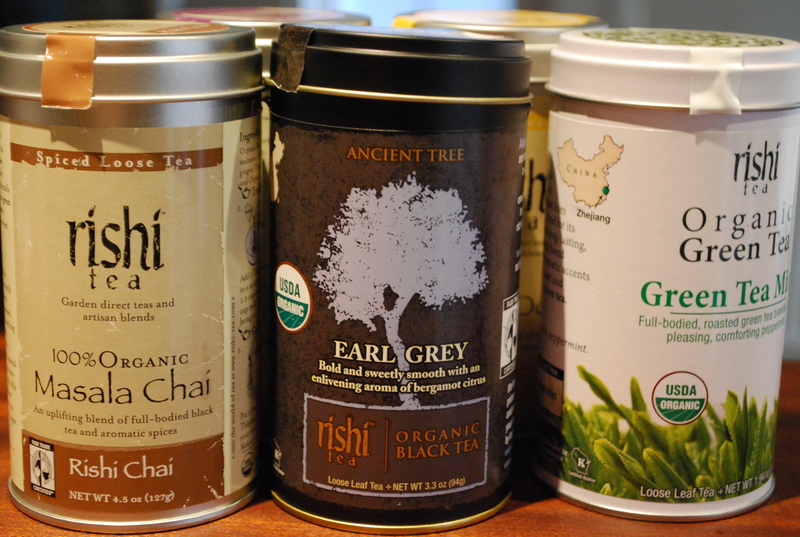 Teas have become an absolutely critical staple in my life as they are so nourishing and yummy. I gave up coffee a couple of years ago. Not entirely because I do love a “vegan-ized” latte once in awhile, but mostly. I think I would have probably gravitated back to coffee had it not been for the unbelievable teas Jeanette introduced me to (in fact, some say they go to Jeanette just for the tea!). Rishi Teas are definitely the best I’ve found. They are super-high quality and very good blends. 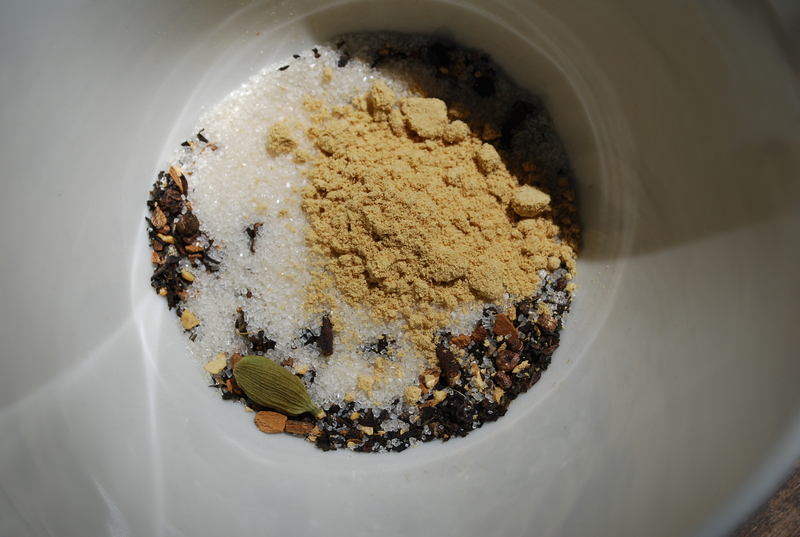 Rishi Masala Chai (blend of black tea and aromatic spices) with some organic ginger powder, organic cane sugar, hot water, and vanilla soy milk. Nice and spicy. Very warming. Rishi Earl Grey (blend of black tea and natural essential bergamot oil) with some organic cinnamon powder, organic cane sugar, hot water, and vanilla soy milk. Really comforting. Very warming. One of our favourites at breakfast. 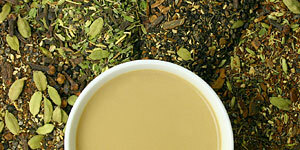 Rishi Green Tea Mint (blend of roasted green tea and pleasing, comforting peppermint) with organic cane sugar, hot water, and vanilla soy milk. You can also add some cocoa powder to make it more like a minty hot chocolate almost. This is one of our newly discovered favourites. Bekah loves it and drinks it almost daily now. It really is strangely good.